This historical romance and adventure is one of my favorite books and for good reason. It is the story of a girl approaching spinsterhood in Regency-era London. She thinks she finds her God-planned destiny in the form of a missionary in China who visits London in order to collect funds. 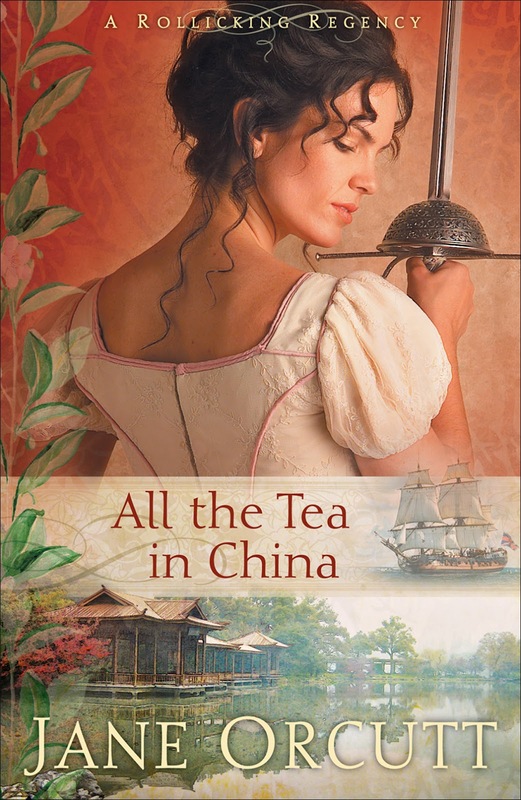 When he is reluctant to take her on board his ship on his return to China, she promptly becomes a stowaway, so sure is she of God's calling to become a missionary. However, as it turns out absolutely nothing is as it seemed at first, and she embarks upon a grander adventure she could ever have imagined herself in. The question arises, is she drifting further and further away from God's will in her life, or is she getting any closer to finding it than she was in her uncle's house in London? This is a question that has troubled me at various times in my life, and to find it tackled in a book with so much humor and adventure was a delight for me. There are surprises at every turn, and I couldn't stop turning the pages at the very end, not even the second time I read this book (and I intend to read it many more). But this wasn't its only asset. It is the most colorfull story. There are regency gowns at the beginning and a chinese wedding at the end. There is a breathtaking sword fight and melting kisses. There is a ship and a journey. And most importantly, there is God in this book. His mercy and His guidance and His care. And His love for us, even when we turn our back on Him and follow our own ways. Needless to say, I loved how the question of finding God's will was answered. And I do believe that is the actual answer, that we will find it in the place we least expect. I loved this book as well. It is one of my all time favorites. :o) I have to disagree with you about the cover though. I like it. Did you know the author is dead? I was upset because I read this book and looked for more by her. That's where I read about her tragic personal story. Great review - it's nice to be reminded of such a wonderful story. thanks for your comment, Alexis, I think you'll like this book. Lee, that's so sad, I didn't know. I too was looking for more books from her and was hoping that if I waited some more, she would write another... God has blessed us so much through her work, and now she is with Him! thanks for sharing that information, could you send me the link of where you found it? This looks like a good book. I just finished a Regency era book -- The Girl in The Gatehouse. My review will be posted on Saturday. Also it is part of the Christian Fiction Book Club discussion hosted by Edgy Inspirational Romance. The discussion begins on Sat. too. thanks, Beckie, I will stop by probably. God bless.